My main goal with this post however is not to ramble on like I usually do, but to ask you to do that instead! 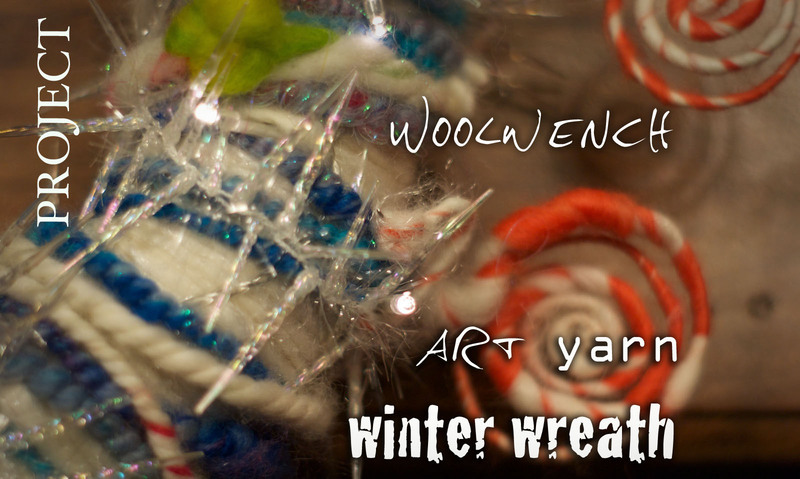 If you saw my most recent newsletter you would have seen the mini tutorial I made describing how I constructed the crazy art yarn wreath (http://www.woolwench.com/videos-and-books/ then click on newsletters and scroll down). When I made the tutorial it was really with the intention of just sharing my process and inspiration for it, because I know that when I read what other people are doing/making/thinking it often triggers my ideas and gets me creating! I hope this will have the same effect on you! Its the best time of year for getting makey, cos baby its cold outside! Nothing better than a table full of sparkly goodies and fairy lights to while away a few hours in blissful activity. So I would love to hear about your ideas! What Christmas creations are you planning? Cookies? Yarns? Knitted wonders or crocheted delights? I loved the knitted christmas tree balls (did that come out right?!) that were popular last year but since I cant read a pattern that was well beyond my reach 😛 But I do love checking out what people are making, and I think the most wonderful and unique gifts are those made with love and by hand. Not sure if you can attach photos to comments here, but if you have pics of what you are making feel free to post on my FB page too! Oooh! I’d love to try my hand at making a yarn wreath, too! It’s an awesome idea, because you can keep it. I always make wreaths with pine branches and moss, but then I’m always sad when it doesn’t look so good anymore (because I’m always excited about Christmas waaaay too early and make the wreath really early).